After living on our land for a couple of weeks in a travel trailer and making multiple trips to the septic dump, we quickly realized that installing a septic system was moving up on the priority list of things to do on our land. However, before we could get our septic installed by a licensed contractor we were going to need to get a permit. To be honest, we were hesitant to apply for a septic permit. We even went into the county health department to talk about why we even needed a permit, and what would happen if we didn’t. Watch that video on YouTube here. Ultimately, we decided that we didn’t want to install the septic system ourselves this time around and the licensed contractor we wished to use wouldn’t install the system for us without a permit. Therefore, we decided to get the permit. Why get a septic permit? The idea is that if everyone builds their septic systems “to code”, then we should all be protecting the health of ourselves, others, and protecting the land, and not to mention protecting our water supply. To determine the size of your septic tank: The size of your septic tank really depends on the size of your household. You don’t want a septic tank that will fill up too fast, requiring frequent pumping and potential overflow into the leach field causing potential problems or even failure. To determine the size of the leach field: The size of the leach field will depend on the size of your septic tank, household size and also the composition of the soil. Sandy soil will allow for a shorter leach field while loamy or clay soil will require a larger leach field. A professional can assess your soil type and help you to determine what size of a septic system you will need. The inspector in this case provided this service using “the book” for calculations and her skills in identifying soil composition. To determine where the septic system should be located: Not all places for a septic system are equal. You won’t want to install one at the base of a hill. The potential run off from above will create too much saturation in the nearby soils rendering your leach field ineffective. Too close to a steep slope can be a problem as the leaching can travel a greater distance than desired due to….run off! Too close to a water supply is an obvious problem as the water table could transmit contaminants. Too close to the property lines so as to encroach on a neighbors property use. Too close to the home or foundation causing potential structural problems. It’s public record: In a way, having septic systems being a public record is a good thing. We would like to know where our neighbor’s septic system is so that we don’t drill our well too close to it, for example. Can you imagine learning about an unknown septic AFTER you drilled a $10,000 well only to find the water contaminated? Also, if you buy a property, it can be great to know exactly where the septic system is rather than spending time searching and poking around. It could be a matter of safety. It’s not rare to hear of equipment falling in long forgotten septic tanks. To have the work checked and double checked: If you install the septic system on your own, or even have a licensed contractor install it that has a great reputation, it never hurts to have the work double checked. If there is an error or a problematic area, it’d be great to know that early before you do the back fill. This is something the inspector does. Not only to enforce codes, but to protect you against a faulty installation that could become an expensive problem down the road. To sell the property later: If you ever plan on selling your property, a septic permit could be a good idea. A bank isn’t going to finance a home with an un-permitted septic system… they would require that you bring it up to code which could cost you a lot later. If you get a permit, then the system should be more or less “grandfathered” in. Then again, if you have an off grid home, you may not get bank financing anyways and would need to sell it cash or be willing to carry the note on it. While the process may not be exactly the same in your state or county, here is an overview of what the process looked like for us. 1. Apply for a permit. The first step in the process was applying for a permit. In the state of Idaho, and in the county we live in, it’s fairly straightforward. We had to complete an application that asked us questions about our property, zoning, family size, house size, etc. We turned in the application and paid the $860 application fee. 2. Percolation test by the state / county. Once our application was in the inspector came out to do a site evaluation and soil percolation test. This is really to determine the soil composition, system size and location where you wish to put your system. The inspector needs to determine how quickly and how efficiently your drain field will leach and cleanse itself. To do this you will need to dig a couple different 8’ deep holes for the inspector. They will likely climb into the hole so you will need some sort of primitive ramp into each hole. Don’t make the mistake we did: Make sure to dig your holes with the inspector on site! We a dug a single hole prior to the inspector arriving and while she was able to utilize this hole (and thankfully we dug it in the right area), she did request that we dig another one 75’ away or so. The reason for this is because the soil composition can change in a very short distance. In our case, the second hole we dug was much more loamy. The second hole indicated that we really should have a leach field that covered much more square footage than if we were working with soil that consisted primarily of sand. If we hadn’t had the second hole, there is a chance we would have our septic system “fail” by backing up into your house because it couldn’t drain efficiently enough. Also in this test the inspector will check for water within the soil, distance to any standing water such as a creek, distance from property lines, distance from slopes, distance from your home or your future home, and things like that. Basically, they want to make sure you’re installing it in the best place possible. They’ll also need to have a replacement area selected for the leach field adjacent to the initial planned leach field. This allows for at least one full replacement of the leach field before the entire system might need to be replaced. Our inspector also suggested that we don’t let livestock walk over the septic system and that we position our garden at least 6’ away, but maybe even 25’ away to be really safe. This was all useful information for us to visualize the layout of our system and how it would work with our land and long-term plans. The inspector finished her work and we were informed that we would have our permit straight away and sent to us via email. If all looks good, then your permit is issued. In Idaho, you have one year to get your septic system installed or else you have to pay a permit renewal fee. After 5 years if you haven’t installed your septic system, you need to reapply for the permit. We will show our permit to the septic installer and let them do their work. In Idaho it is legal if we choose to do the work ourselves, but maybe we’ll do that on our next property. We simply don’t have the time and resources to tackle a project of this importance and scale at the moment. Our focus is on getting a suitable living space built to keep dry and warm in the coming months. In many states it is illegal to install your own septic so check your local regulations. After your septic is installed, the inspector will come out one more time to do a final inspection while the system is still exposed. This is to ensure that everything is set up properly. Even a slight elevation change in the length of your drain field can mean premature failure. This final inspection is critical. If there are any problems, it’s better to find it before it is backfilled rather than after! If all is good you’ll get the final sign off and can backfill the trenches and you’re all set! The picture says it… this is what a typical septic system looks like and what ours will look like as well. Roughly. We told the inspector everything that we plan to do with the property as we would like a septic system that would accommodate growth. On the other hand, we know that we won’t begin to build our main house for maybe 3-5 years, so we don’t want to spend a fortune on a septic system that will take care of the entire planned farm! We weren’t aware at the time, but we really wanted to know our options. We thought that we’d like to install the entire thing rather than having to pay a little extra to have the installer come out a second time. We were told that each dwelling needs a minimum tank size of 900 gallons. We told the inspector that we plan to have two dwellings: a 1 bedroom / 1 bathroom barn and then maybe a 2 bedroom / 2 bathroom house. Each dwelling (including 1 bedroom) needs a 900 gallon tank and then each additional bedroom requires an extra 50 gallons. This means that we would need a spetic tank that is 1900 gallons, or 2000 gallons because they don’t sell 1900 gallon tanks. We don’t really plan on having the barn and house occupied at the same time. Once we move into the house, the barn apartment will likely be empty with the exception of an occasional guest. Our house won’t be built for a while, if we ever get around to building it (we are optimistic but hey, things happen sometimes), we don’t have kids yet, so basically our septic system would be overkill. We are talking about spending maybe an extra $2-$3,000 for the larger septic system. Our problem is this: We are unsure if the permit will be able to be adjusted for a reasonably-sized septic system for just the two of us. They may require us to install the whole shebang or pay another $860 for a new permit. This is why we didn’t want to get a permit in the first place because it’s a pain in the a**. We are unsure what we will do at this point. We may like to use $2-$3,000 for a cistern or other developments on the property. I guess we’ll see what happens with the permit. At last news it sounds like our installer may have some good news after he talked over out situation with the inspector. One more reason to have a seasoned pro on your team! We should have our septic system installed in just one week. At that time, we will hook our trailer into the septic system so that we no longer have to take it to the RV dump! We are stoked about this. We still won’t have a mega long-term solution for our water but we do have 5 gallon tanks we can fill up which is much easier than towing the trailer into town. For this we will have to rent the excavator yet again and dig some small trenches to run pipe. We would do this now but we are unsure precisely where the septic tank will go. This process has been interesting so far, to say the least. It seems that all said and done we will have spent thousands of dollars to get it all done, but we will own it, it will ideally last a lifetime, and at least we aren’t tied into the grid. As far as the permit… we’re unsure if we’ll regret the decision or not. In a way, we are using this property as a foot in the door and don’t know that it will be our forever-home. We may want to move to a even more remote location and I’m sure this property will educate us on what to do (or not to do) the second time around. To us, education is priceless. We are paying close attention because in the future, we would love to be able to read our own soil and install our own septic system. The experience alone would be invaluable. Our installer is thrilled to have us involved in the process and we’ll be taking careful notes for this blog and for future projects. Stay tuned! What fun have you had with septic projects? Have any good tips or stories about the permitting process? What questions would you like answered while we have the entire squad working on our project? What does your installer think about slitting up your sewage in black(toilet) that goes to the septic and grey(showers, sink and washer/dryer) that goes to rubber lined planter beds that grow food? What does he think about letting the septic tank overflow in rubber lined planter cells growing non-edible and fastgrowing firewood trees and shrubs? Afterwhich the rubberlined planter cells can overflow into the leach field. Which almost never happens as the trees, shrubs and rosebushes eat up all the overflow. That’s how they do it in the greater world comunity in Taos, NM. Attach/tyrip+ducktape(fold a crease in the tentfabric-to overlap the gutter) cheap pvc pipes (cut in half) to your tentgarage as gutters and let them empty in a small cistern that you put on bloks next to you tent garage with a spigot. This way you should be able to filter more then enough water, quick enough, to not only drink but also wash and shower. Another great video! I’m glad y’all are continuing to make progress. If you wouldn’t mind sharing the cost for the entire project by line item (excavator fee for one day to dig holes, one day to bury the dirt, different estimates received from contractors and why you chose the contractor that you did (was there anything more than the company being well seasoned? ), etc.) Also, I know you had a minor hiccup with the hole digging, did that delay the project by a few hours or days? How busy is the permitting office to get back on their schedule if you have to reschedule due to misunderstanding the instructions? If you had to lay out a calendar for the month of October for all septic related planning items and when they were executed, what would it look like? Y’all rock – thank you!! This is exactly what we’re planning on doing, Amanda! There are already a lot of videos and contents on HOW a septic system is installed, but not all of the nitty gritty details of what it costs, timelines, etc. so hopefully we can shed some light on that, especially the unforseen things. We’re working on that content as we speak… hopefully we can have it up soon! We still haven’t gotten our final bill for the septic, eek! Hoping it’s all what we expect! Just a heads up, did you guys lay down some big rock under that 3/4 minus? If not you will probably need to by the time you start driving over it in winter it will disappear! You should start with 6″ then 3″ then the 3/4 minus. At the very least 3″ under the 3/4 minus. What part of Idaho are you guys in? I am looking for something to do a tea farm! Thanks for the tip Tina! We didn’t lay down larger rock under the 3/4 minus as we already have a heavy rock base in the soil. Most folks without that will lose their 3/4 rock to the mud and clay. We’re both blessed and often frustrated at the rocks in our soil. In this case, it’s a blessing! We spread it thin so we’ll likely want to do more come spring to get a good foundation. We are in the Northern portion of Idaho A tea farm? Sounds fun! Hi! I just stumbled across your blog today… I hope to do something similar, but my husband is a librarian, a good librarian, loves his work and is not willing to live in a camper… so not exactly the same 😛 I suppose I’m a little late at this point, but I’m wondering why you need a septic system at all? You will now forever be dependent on the business that comes to empty it periodically and the disposal facility where they take it, and will be participants in any problems that kind of manure concentration creates. Did you consider composting toilets as an alternative? They are a major part of my plan to reduce costs and increase soil fertility, so if you dismissed them, I’d be interested in hearing why. If you used a composting toilet you would have no black water… only grey. In addition to increasing your “off-gridness” you would have a significant addition to your composting operation (the backbone of sustainable agriculture), and you would cut all kinds of costs and man hours on plumbing (composting toilets are SSSOOO easy to make!). Are you familiar with the humanure handbook? We are still living in an apartment, but I’ve already run a trial with a bucket under the bathroom sink… It smells WAY better than a chemical toilet if you use sawdust. It’s entirely possible to compost the stuff responsibly and get rid of the e. coli… but if you want to be extra safe, you can only use it around fruit trees and such. Hi, new reader here! I’m so glad I found your journey (thanks pinterest!) My husband and I have been looking for property in N Idaho, we currently live in E Washington. We’ve talked about doing something similar but with three young kids I’m not sure I have the patience to live in a camping trailer! We’re hoping to find something liveable on 5-10 acres and build our own home with cash over a few years. Keeping our eyes out for Spring to make the move! Best of luck on your journey! Thanks for sharing! We built our house 20 years ago in the country and have a septic system. Never been a problem, but my husband has it pumped every 5 years at least. We are planning our retirement home and are seriously considering some type of composting toilet system, either using a commercial one that empties into a composter in the basement or going the humanure route. This could well be an issue for resale, so we may have to put in septic anyway, but we are less concerned about resale since this will be our last home, designed to meet the needs of nursing home level care if neeeded but at home. Selling the house will be our children’s problem after we die. I am sure you have considered this but just in case you haven’t. It could be a temporary thing while you save for septic tank. Best wishes for success in your endeavors. Sounds like a great plan Mary! We kinda feel the same way… we don’t ever plan on selling our property but don’t want to shut any doors either. Wise to look at all options and see how they all fit into the big picture. We will definitely be looking into composting later on down the road once we are settled a bit more. So many fun projects, so little time! 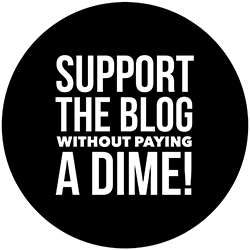 We Really enjoy your weblog and YouTube videos! We wish you well, and hope you do well through the winter. We have a little under 4 acres in NW Illinois. We are somewhat astounded of the prices of land in Idaho. Land here is 12 – 15000 per acre, and we thought that was a lot! How far is your nearest town? Hey Dave, thanks for reaching out! Great to meet others and business owners in the area. We are definitely trying to do whatever we can possible ourselves but that said, we aren’t trying to be superheroes! I think knowing your strengths and weaknesses is important for any journey and trying to do it all can lead to burnout, especially with the route we’re taking. We had our septic system installed over the past week and that’s one thing we decided to let professionals do for reasons we will share in a future blog post and video. Some things seem to have more room for error and installing our own septic system wasn’t something we were ready for at this point in the game, but hopefully we’ll have the chance to install our own on a future property maybe. Great to know that we can reach out to you if we have any septic questions! Having knowledgeable contacts is priceless. We are, however, interested in having a concrete water tank installed in the near future as we’re currently running back and forth to collect 15 gallons of water at a time! We may be in your neck of the woods in the near future so maybe we’ll stop by sometime and say hello!